Domestic abuse is a serious offense. While the penalties for domestic violence can vary based on the presence of aggravating factors and whether it's a first or subsequent offense, people convicted of domestic assault and battery charges can face fines, imprisonment, or both. If you've been charged with domestic assault and battery in Oklahoma, it's important to understand what you're up against—and how a knowledgeable criminal defense attorney can help you protect your rights and future. The gravity of being charged with domestic abuse simply can't be overstated. Even if the charge is a misdemeanor, it puts a person one step closer to having a felony on their record. That's because, in Oklahoma, domestic assault and battery crimes are considered predicate offenses. This means that, while the first offense may be charged as a misdemeanor if no aggravating factors are present, a second or subsequent offense is automatically charged as a felony. Not only do felonies carry stiffer criminal penalties than misdemeanors, but they can continue to negatively affect a person's life long after they've paid their debt to society. For example, felons may be stripped of their voting rights, or have difficulty finding work or housing. Not all domestic abuse charges are created equally. Each of these charges describes a different offense and carries specific penalties. Oklahoma law defines domestic abuse as “any act of physical harm or threat of imminent physical harm” perpetrated by an adult, emancipated minor, or a child age 13 or older against family or household members, or current or former dating partners. A first-time offense without aggravating factors is usually charged as a misdemeanor and carries penalties of up to one year in county jail and/or a fine of up to $5,000. Second or subsequent offenses are charged as felonies, and people convicted of these crimes can face up to four years in prison and a maximum fine of $5,000. Domestic assault and battery that involves the use of a dangerous or deadly weapon can carry even harsher consequences. Charged as a misdemeanor for the first offense, domestic violence that occurs when a child is present carries a potential punishment of six months to one year in county jail, and fines up to $5,000. As a felony charge, a second or subsequent offense can result in one to five years in prison, and a maximum fine of $7,000. When someone commits domestic assault and battery against a woman they know is pregnant, they can be charged with a misdemeanor for a first-time offense; people convicted of this crime can face up to a year in county jail, as well as significant fines. The penalty for a second or subsequent offense, which is charged as a felony, can be a sentence of up to 10 years in prison. However, when domestic violence against a woman known to be pregnant results in miscarriage or injury to the unborn child, perpetrators face a minimum of 20 years in prison. The presence of great bodily injury—such as broken bones or disfiguring, disabling, or life-threatening injuries—is an aggravating factor that makes this charge a felony, even for a first-time offense. Upon conviction, this charge can carry a sentence of up to 10 years in prison. Strangulation—and attempted strangulation—is an aggravating factor that makes a domestic assault and battery charge a felony. 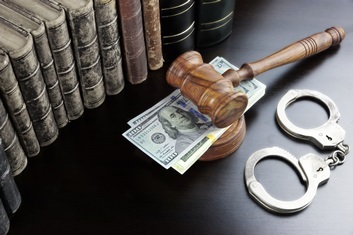 A first-time offense can carry penalties of between one and three years in prison and a maximum fine of $3,000, while a second or subsequent offense can result in a prison sentence of between three and ten years and a fine of up to $20,000. Are You Facing Domestic Abuse Charges in Oklahoma? Our Skilled Attorney Can Help You Protect Your Rights. Don't let domestic assault and battery charges derail your life. The Berlin Law Firm has an experienced criminal defense team who can investigate the charges against you and provide you with the vigorous defense you need and deserve. Do you have questions about your legal rights and options? Contact the Berlin Law Firm today to schedule an appointment for a private consultation.